Having a hair consultation is a very important part of any hair care routine, especially when it comes to deciding on a new hairstyle or color change, and should be done before you begin any type of hair service. It doesn't matter if you are just after a simple blow-dry, everyday style or an elaborate wedding upstyle, without your hairstylist understanding your needs, it could be done wrong. A hair consultation is the best way for you to communicate with your hairstylist and is the most important role that you will play at the salon. It is also the only real control that you will have in determining the outcome. When making an appointment for a consultation, ask to have it at a quiet time when your stylist can give you their full attention. Don't settle for a rushed talk as this is where problems and misunderstandings can occur. You, in turn, must be prepared to listen to your hairstylist's advice and remember to ask any questions that you may have about home maintenance, styling requirements and any hair condition concerns. 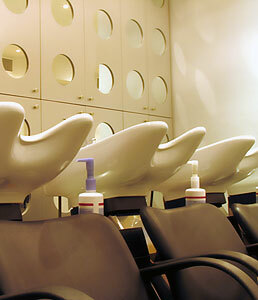 Providing this information is very important and will affect the outcome or new hairstyle that you take home. The first point where you show your hairstylist pictures of what you like or don't like is the most important one. There is an old saying, "a picture speaks a thousand words" and it's so true. By showing your stylist pictures there can be no misunderstanding between you both and they can't say that they thought you meant something else or insist that you told them something else and then changed your mind. It really helps to get you both on the same page and it will help you get your message across is a graphic way while helping your stylist to know exactly what you want and expect to achieve. It may seem like a lot of things to do before you start your appointment but a consultation can all be done in 10 to 15 minutes and you will find that most good hair salons will want and allow time for a hair consultation. Through time, as you and your stylist become better acquainted, the consultation will become easier and more of a follow up procedure. To get a head start on your own hair consultation, try our online consultations today: Find Your Perfect Style and Are You Ready For A Style Change?